The last month has been full of tragedy, and it’s hard to describe the pain and anxiety that has surrounded us since the horrific shooting on Nov. 7th, and the fires that followed. But despite the anguish this has brought to our community, it’s beautiful to watch how it, once again, is coming together to help one another. Its time to do our part to help those in need!!! The event even made the news! 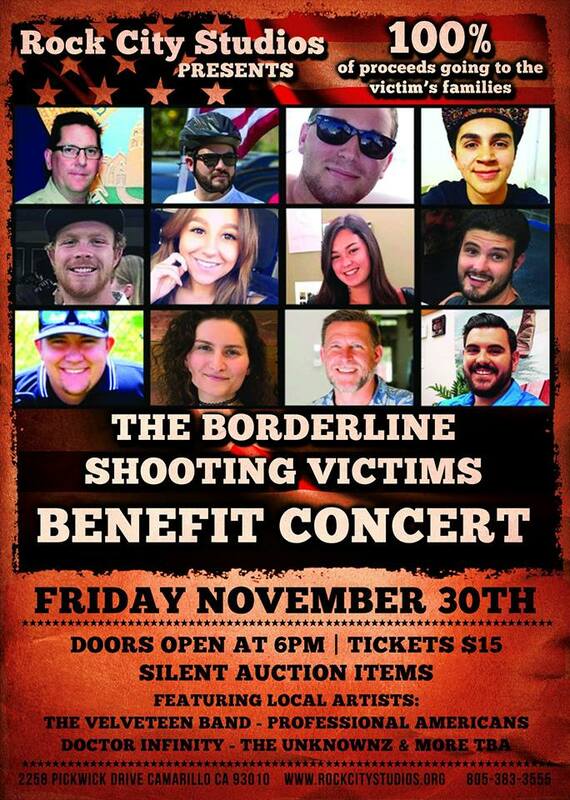 Rock City Studios will be holding a benefit concert to support the families and those affected by the Borderline Shooting that happened on November 7th. The benefit concert will be held November 30th. 100% of proceeds will go to the families of the victims. Click here for pre-sale tickets, and THANK YOU!!! Previous Post3 Awesome Updates!Next PostSan Diego Cos-losseumcon, January 5th, 2019!! !